Home » About AOM » What is Aikido? Aikido is a partner practice, based on blending with someone else’s movement and energy. The purpose of this blend is to use the attacker’s force and intent as the path to resolving the conflict. One person takes the role of the attacker the other the defender. Both individuals learn how to be safe, the attacker by learning how to safely fall, the defender by learning how to use only the amount of energy needed to resolve the situation. An Aikido response to an attack could be something as simple as stepping out of the way or as dramatic as throwing the person. In the traditional art, punches and kicks as you might expect to see them in other martial arts are not used defensively, though strikes to anatomical weak points (atemi) are sometimes employed as a means of disrupting an attack or distracting the attacker, and students do learn to defend against strikes. Because Aikido is based on traditional samurai arts, also contains weapon forms using the sword, wooden staff and knife. However, weapons practice is secondary to empty-handed practice: students learn to use weapons primarily as a means of increasing their understanding of body arts, since many empty-handed forms and movements are derived from sword and staff techniques. 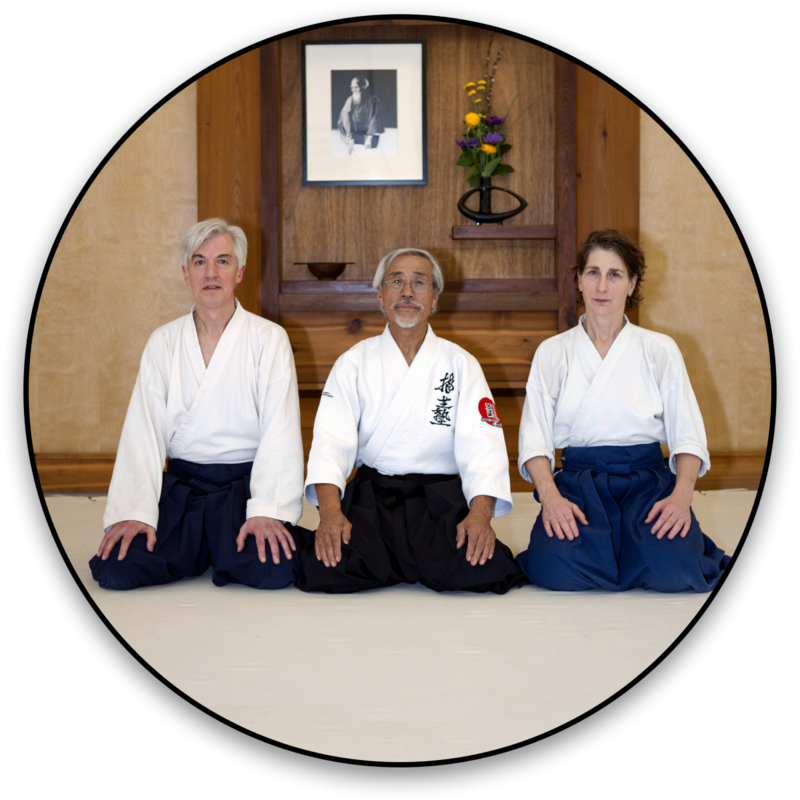 Aikido training uses the physical study of the art as a path to develop our capacity to resolve conflicts without harm. In it’s highest form, Aikido has the capacity to create harmony and peace when conflict arises. *Ueshiba, Morihei, ’The Art of Peace: Teachings of the Founder of Aikido”, translated by John Stevens, Shambhala Pocket Classics, 1992, p.8.